People who use proton pump inhibitors (PPIs) for chronic heartburn may be at an increased risk of developing kidney disease. Popular and well-known PPIs include Nexium, Prilosec and Prevacid. PPIs are meant to prevent the stomach from producing too much acid; however, this type of medication affects the body’s ability to absorb some nutrients, such as magnesium. Kidneys need magnesium in order to function properly. What happens is that PPIs can cause the body’s magnesium levels to decline. Although it typically takes time, these reduced levels can result in damage to the kidneys. Unfortunately, by the time symptoms appear, your kidney function may already be seriously damaged. Popular and well-known PPIs include Nexium, Prilosec and Prevacid, which treat heartburn, acid reflux and other gastrointestinal issues by lowering the amount of acid produced by the stomach. A recent study by the Journal of American Medical Association reported a significant increased risk to patients taking these types of drugs for developing acute kidney failure and chronic kidney disease. 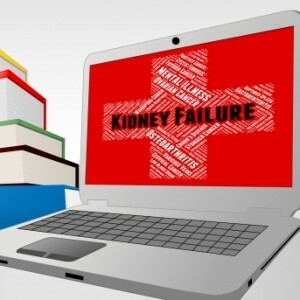 Kidney failure, also known as renal failure, is when the kidneys do not properly filter waste product from the blood. Chronic kidney disease is a form of kidney failure and is typically not reversible. According to the study, those who use PPIs have a 20 to 50% higher risk of chronic kidney disease compared with nonusers. Why File a Nexium, Prilosec or Prevacid Lawsuit? People on PPIs for one to two years had a threefold higher risk of kidney failure than those who used the drugs for a month or less. Over time, chronic kidney disease can lead to kidney failure. Kidney failure can mean undergoing regular dialysis treatments or potentially a kidney transplant. These treatments seriously impact the quality of your life, result in physical and mental suffering and lead to mounting medical expenses. If you have been taking one of these medications, especially for a longer period of time, you should talk with your doctor about your specific situation and your likelihood for kidney disease. However, if you have already been diagnosed with chronic kidney disease, renal or kidney failure or other related issues while taking a PPI, it is time to let the experienced attorneys at Nash & Franciskato help you take legal action to obtain compensation for your pain, suffering and medical expenses. Contact us today for a free, no-obligation case evaluation.